SEOUL, South Korea -- North Korea has issued a rare direct criticism of China through a commentary saying its "reckless remarks" on the North's nuclear program are testing its patience and could trigger unspecified "grave" consequences. China, North Korea's largest trading partner and main benefactor, suspended imports of North Korean coal in line with U.N. sanctions earlier this year and has recently been urging its traditional ally to stop nuclear and missile activities amid U.S. pressure to use its leverage to resolve the nuclear standoff. Chinese state media have also unleashed regular and harsh criticisms on North Korea. The commentary released Wednesday by the state-run Korean Central News Agency said that "a string of absurd and reckless remarks are now heard from China every day only to render the present bad situation tenser." Asked about the KCNA commentary during a regular briefing Thursday, Chinese Foreign Ministry spokesman Geng Shuang said Beijing's position on "developing good neighborly and friendly cooperation with North Korea is also consistent and clear." 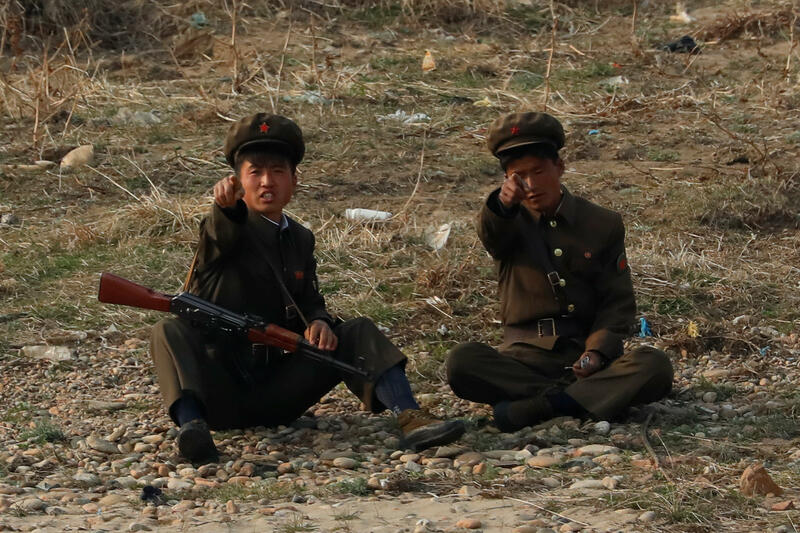 The North Korean article cited recent commentaries by Chinese state media that it said shifted the blame for deteriorating bilateral relations onto the North and raised "lame excuses for the base acts of dancing to the tune of the U.S."
"China should no longer try to test the limits of the DPRK's patience," the North Korean commentary said, using the acronym for its official name, the Democratic People's Republic of Korea. "China had better ponder over the grave consequences to be entailed by its reckless act of chopping down the pillar of the DPRK-China relations." The article was not attributed to any government agency or official; the writer was identified only as Kim Chol. Still, it's unusual for the North to directly criticize China. Previously it has couched such criticism by referring to China only as "a neighboring country." Analyst Cheong Seong-chang at South Korea's private Sejong Institute said the North's discontent at China appears to be on the "verge of exploding." He said North Korea will likely ignore China from now on while trying to strengthen ties with Russia and improve relations with a new South Korean government to be inaugurated next week. The Global Times, an outspoken nationalist tabloid published by China's ruling Communist Party's flagship People's Daily, warned in a Thursday editorial that the North's actions threatened a 1961 treaty of non-aggression between the two countries. It called on the North to end its nuclear tests. "China will not allow its northeastern region to be contaminated by North Korea's nuclear activities," the Global Times declared. In recent days, the paper also warned that China was able to strike back "at any side that crosses the red line" and would impose an oil embargo against the North in response to any more tests. The North Korean commentary said it's China that crossed "the red line." The People's Daily declared Sunday - and again on Tuesday - that the North's nuclear ambitions "put itself and the whole region into dire peril."